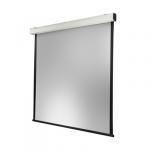 The electric screen is the most convenient of the installation screens. Simply push the wall switch or the remote control and the fabric automatically descends to the desired position. 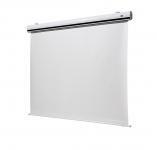 Elegant designs for business and suitable for home cinema. 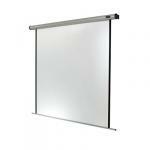 This series provides the cost efficient solution for motorised screens and provides excellent value for money. 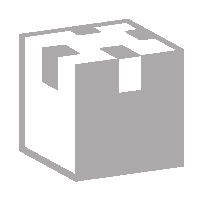 It is suitable for most projection applications. The home cinema series is specifically designed for the well-equipped home environment. 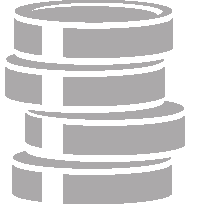 It comes in an elegant aluminium casing and the fabric is heavy and of excellent quality. Thanks to its opaque back backing, it is impervious to light. 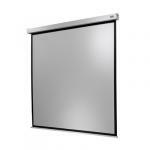 The electric professional screen is suitable for conference rooms with high-end equipment. 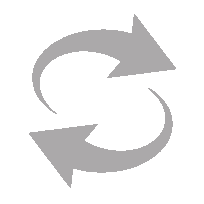 Its design is robust and of high quality. 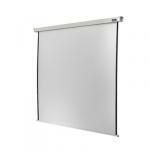 This series offers high quality and functionality. 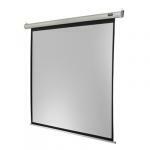 The screens are available in four formats up to 300cm width and are suitable for a wide range of projections. 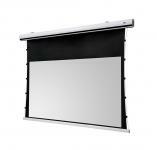 This Expert series is of the highest technical quality and suitable for all projections. An optional ceiling installation set is also available.